There’s a magick found in the earth that isn’t found anywhere else. So rings true for the enchanting artistry seen in all of Leila + Olive’s creations. 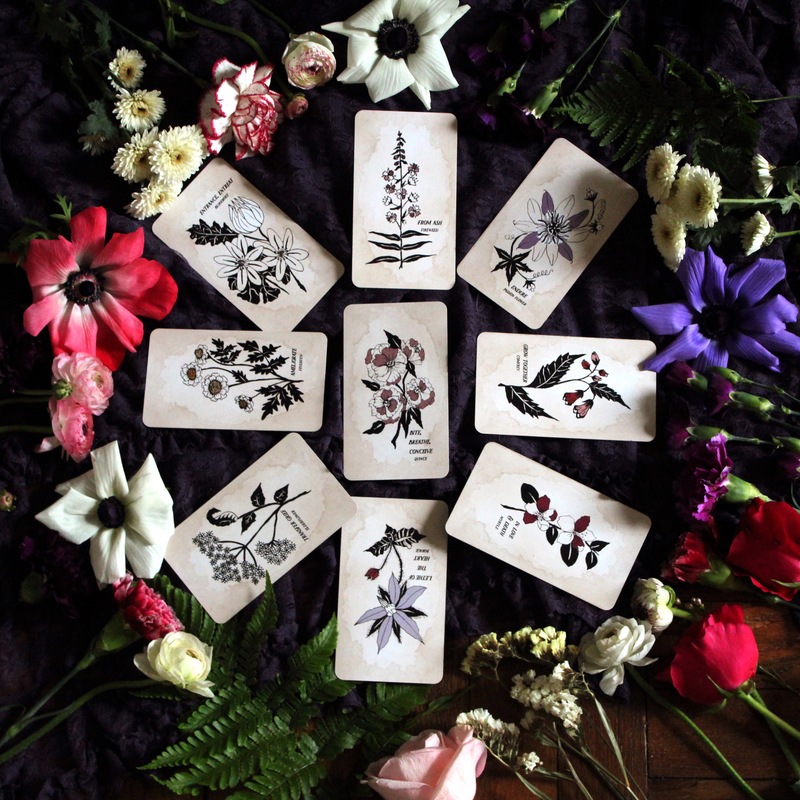 The line of botanical talismans was created by artist Nicole Rallis, who has combined her passion for plant magick and divination into a world seemingly more beautiful than our own. The online destination is filled with mystical patches, pins, pendants, and oracle cards that all draw inspiration from the natural world and divine feminine. And every piece is infused with Nicole’s personal experiences for extra potent energy. "If something can bring light to others, it must guide me out of darkness first," Nicole tells HelloGiggles. "Each piece, even something as simple as a patch, is sown with personal experience. The Modern Medusa, for example, was an illustration dreamt up when I needed to take arms against a moment in which I felt my power as a strong woman was being tested. It became a personal emblem that I am fierce and strong, no matter what comes my way." 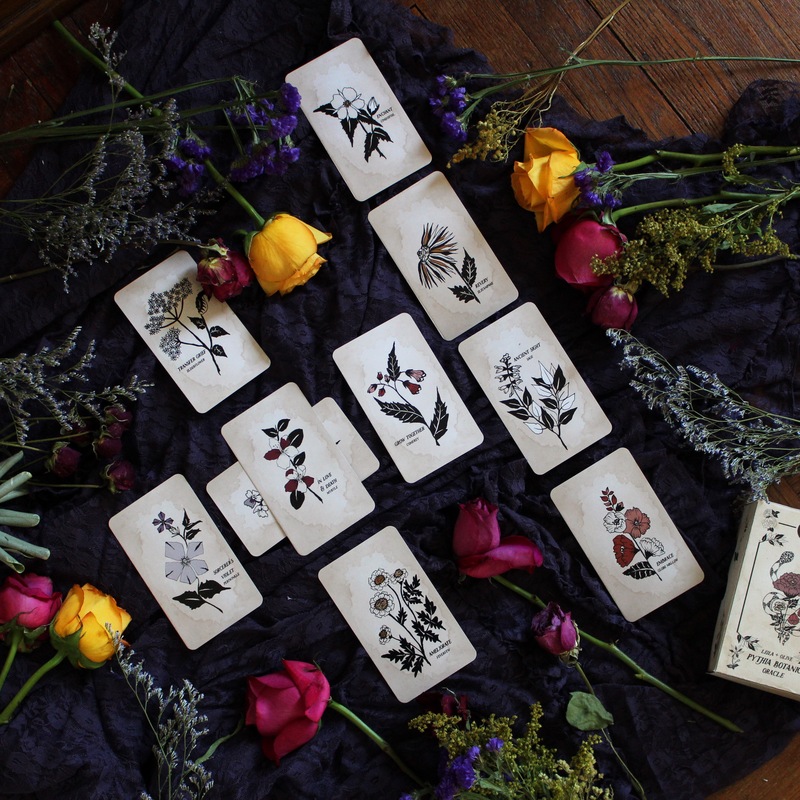 And while we love Leila + Olive’s decadent patches and pins, what we really can’t get enough of is the Pythia Botanica Oracle Deck. The shop has just listed the second edition of the popular botanical-based deck, and our green thumbs are itching for it. Oracle decks work by connecting you to parts of your unconscious mind and intuition by using images and symbols, allowing you access to truths you don’t normally have in day-to-day life. 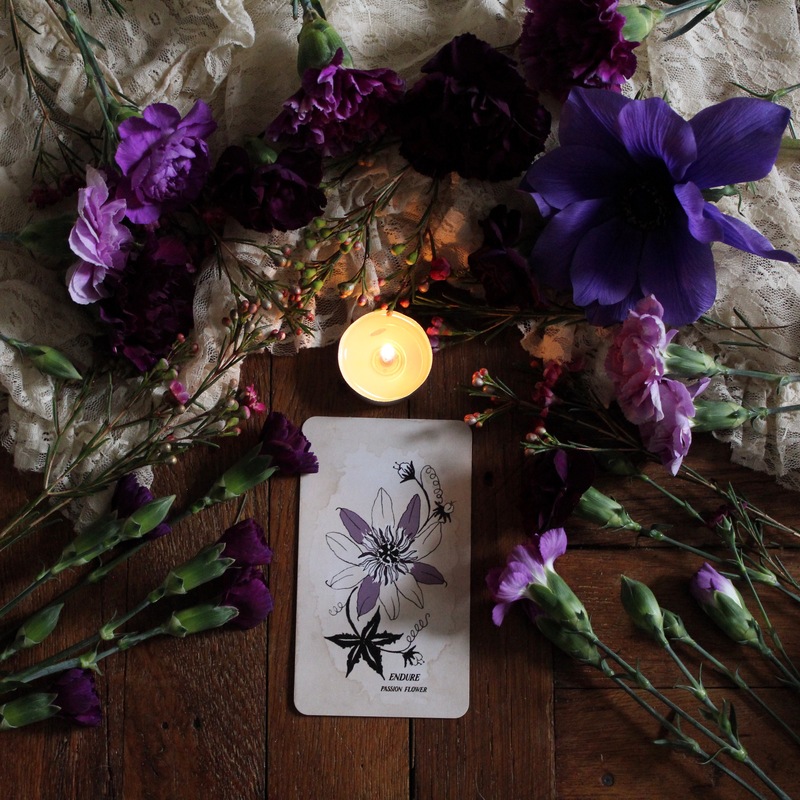 This deck features a plant or flower on each card, allowing for readings that are literally rooted in mother earth. "The Pythia Botanica instills the ancient mythological lineage of plant magick with present-day personal meaning to guide readers through fate. Beyond its initial intentions, the deck somehow springs with elements that remain a mystery even to me. This gives it an amorphous power where others can find light that is uniquely their own," Nicole says of the deck. Using cards to divine the future and learn about one’s own path and truth is an ancient practice, and one that is available to anyone. By trusting her own intuition, Nicole was able to create this deck, which allowed her to share her insight with the world. Her mission has always been to spread the seeds that the wisdom of the plants have given her with others, specifically through creating tools of divination. And although it’s scary not knowing where to start in a reading, all that matters is that you start. "The advice I tell close friends is to follow one’s intuition and trust in oneself, especially when you first start reading and it can feel a bit overwhelming. You hold all of the answers, and the cards can serve as a window to peer inward, as a prism of truth, or as a reflection to glare purpose back upon oneself," Nicole explains. By finding beauty in the world around you, you’re only going to foster more love and beauty in yourself. Whether you feel empowered wearing a beautiful pin or patch, or by reading your own cards, there’s always a way to continue growing and blooming. Nicole holds this sentiment close to her heart, citing plants and flowers as her biggest teachers and inspiration. And like a teacher never stops teaching, neither will Nicole stop learning. Next up for Leila + Olive is a tarot deck to be realized in Spring, inspired by the divine feminine, botanical world, and mythological sources. "Perhaps there's superstition here, but keeping every project close — letting it bloom with truth alone before letting it out — has been my only way in to this magic," Nicole says.